It’s our mission to provide customers with the best service around. 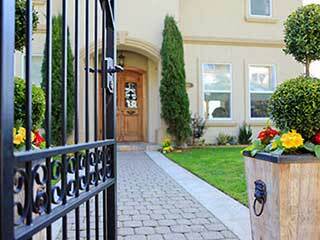 You want to get the best service available for the lowest price, and that's exactly why contacting us for all your driveway gate needs is a good idea. Whether it's a matter of installing a new wireless intercom system, or performing some welding repairs, you can rest assured that all you need to do is leave it to us. The most important thing about owning a driveway gate is that it works reliably and doesn't get stuck when you least expect it to. There aren't many things more frustrating than being unable to get your car in or out of your driveway because the gate is acting up for whatever reason. The sheer number of potential reasons for such a malfunction makes attempting DIY not worth your time. Not to mention, it can be dangerous too. 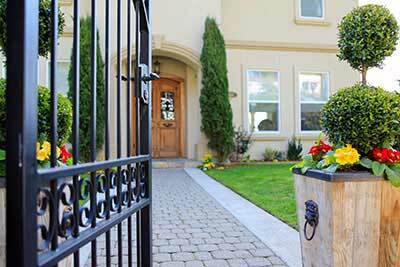 Luckily, you don't have to resort to troubleshooting gate problems yourself. That's exactly what Gate Repair Long Beach is here for. Dealing with problems is something no gate owner wants to have to do. You've got a busy schedule and there are plenty of other things you can be doing instead of waiting for the gate repair technician to arrive. That's why Gate Repair Long Beach adheres to a same day service policy and offers appointments Sunday through Saturday. Whenever something goes wrong, you'll find us ready to set things right again. Your gate opener unit can suffer from a number of malfunctions, and one of the trickiest to track down is a fault with the circuit board. This can lead to a wide range of different problems, including safety system failures, and should be addressed as quickly as possible. Due to the complex nature of these devices, and the range of knowledge required to repair them safely and effectively, it's beneficial for you to seek professional assistance whenever these sort of problems rise up. What sort of problems, you ask? If the gate starts reversing when you try to close it, or opens part way and closes, or refuses to move at all for seemingly no reason. Those are just the basic ones. All erratic or unusual behavior can be the source of electrical glitches, so don't hesitate to reach out to us for help with any and all issues. For jobs that can’t wait, or for expert advice and maintenance services, get in touch with Gate Repair Long Beach today. Let us help you deal with unexpected problems, as well as assist in with choosing and installing new intercom models and above ground or underground opener units.